Unfortunately, I don't have much more information than that to go on. Fortunately, like any science fiction fan, I do have my imagination... and my readers' memories of writer's ideas. Each of the pilotless jets carried an amazing mechanism called the landing forcer, an invention of Tom's. This instrument, directed from a beeper box in the control tower, could capture and steer intruding planes to Fearing's airstrip. 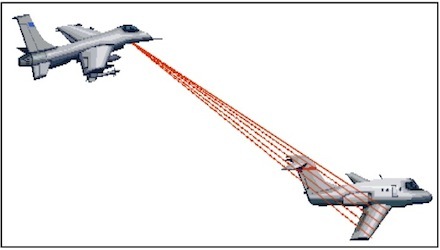 Thursday, the Christian Science Monitor published an interview with an Iranian engineer who claims that Iran managed to jam the drone’s communication links to American operators by forcing it to shift into autopilot mode. With its communications down, the drone allegedly kicked into autopilot mode, relying on GPS to fly back to base in Afghanistan. 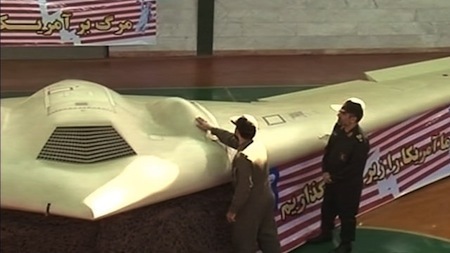 With the GPS autopilot on, the engineer claims Iran spoofed the drone’s GPS system with false coordinates, fooling it into thinking it was close to home and landing into Iran’s clutches. Science fiction fans' minds might be wandering to the incident in which the Enterprise crew successfully took over another spacecraft in Star Trek: The Wrath of Khan by using a hidden prefix code.